It’s winter in much of the United States and the cold weather might have you dreaming of summer warmth and fun. As you start planning your summer vacation, have you considered visiting Dorie’s Promise this year? Our team and kids would love to see you. We welcome more than 300 visitors annually through our short-term missions program. With a proven model and full-time staff, our program allows groups of all sizes to visit and make an immediate impact. Our team will work with you to prepare and handles all your needs in-country. Serving with Dorie’s Promise is easy and makes a big difference. Our staff works year-round to identify needs and qualify families in our partner communities. We match your group’s skills and interests with a family in need. Over the last decade, we’ve grown to specialize in hosting groups and providing consistent, meaningful assistance to local communities. We welcome large and small teams, families, individuals, church organizations, and service groups. 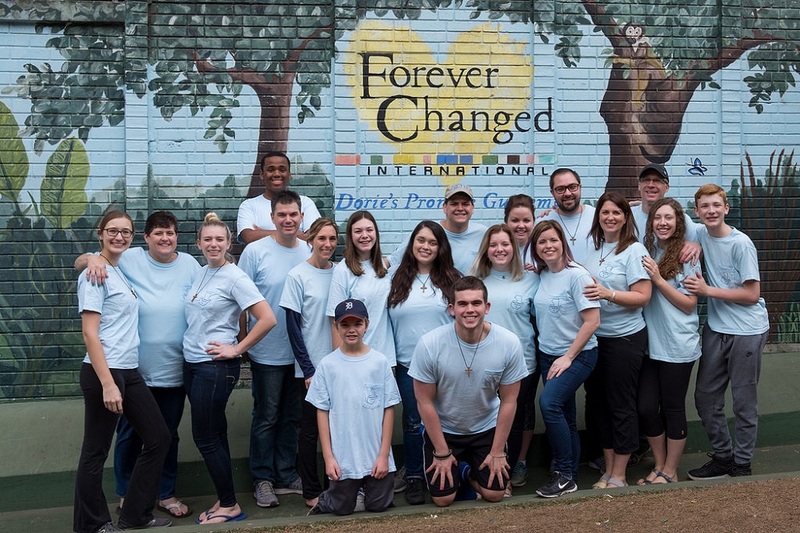 Visiting Dorie’s Promise is a different trip experience. You come to Guatemala to serve but leave having learned a new perspective on the realities of poverty and causes of the world orphan crisis. Orphan care and community service combine with cross-cultural education and relationships to build deeper understanding and connections with the people you serve. All the projects our teams complete are helpful for the families and communities we serve. The homes, concrete floors, water filters, and groceries make an immediate difference for families, but our visitors are impacted too. Transformation for trip participants comes from spending time with local families, our children, and staff members. We hope you’ll see people for who they are, not just the circumstances in which they find themselves. Although serving others is important, unless you understand why you serve and take a genuine interest in who you serve, you’ll miss out on an opportunity to be transformed. At Dorie’s Promise, we focus on educating you and creating connections so you return home ready to share your story and impact your community. We share the beauty of Guatemala, as well as the hardships because you need to understand how both can exist simultaneously. Experiencing the genuine beauty of the Guatemalan people and culture will help you understand how hope shines in the middle of poverty. We want you to see the needs in Guatemala, hear the stories, and learn the names of those you serve so you remember your trip long after you return home. The best way to understand someone else’s perspective is through experience. Our dream is for you to visit us in Guatemala and carry home stories and memories that transform your life. Learn more and find available trip dates on our Trips page.